Home Page design includes slider that shows off all of our Licensed Brands. 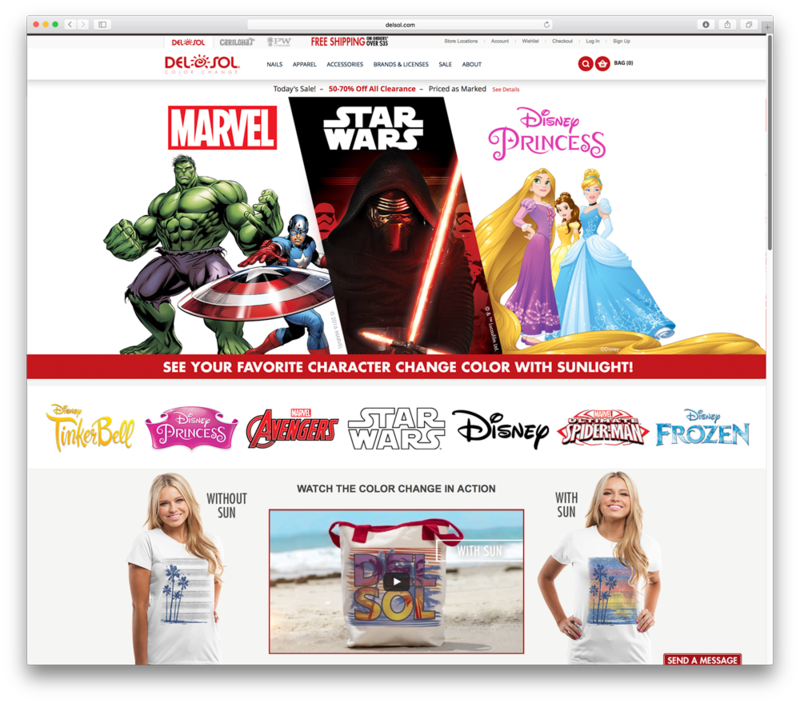 New responsive layout makes finding and purchasing color-changing merchandise a breeze. 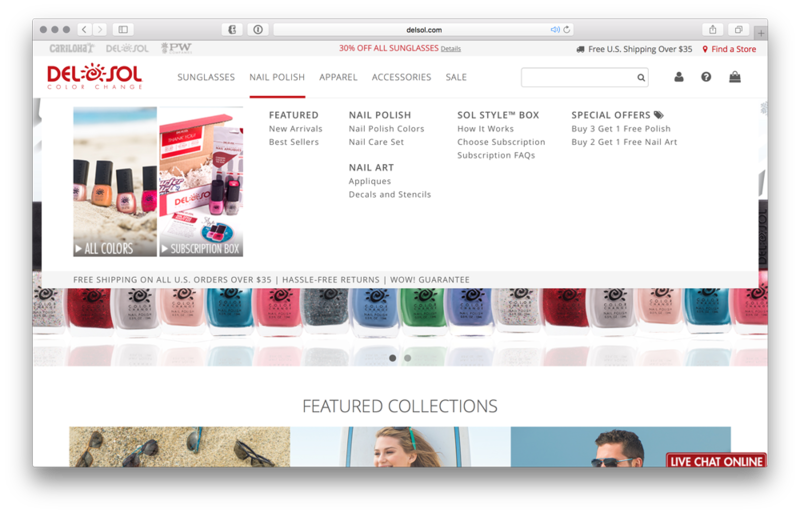 New Navigation allows quick access to find desired merchandise in a clean, intuitive layout. Landing Pages designed to show off the latest apparel and licensed goods. 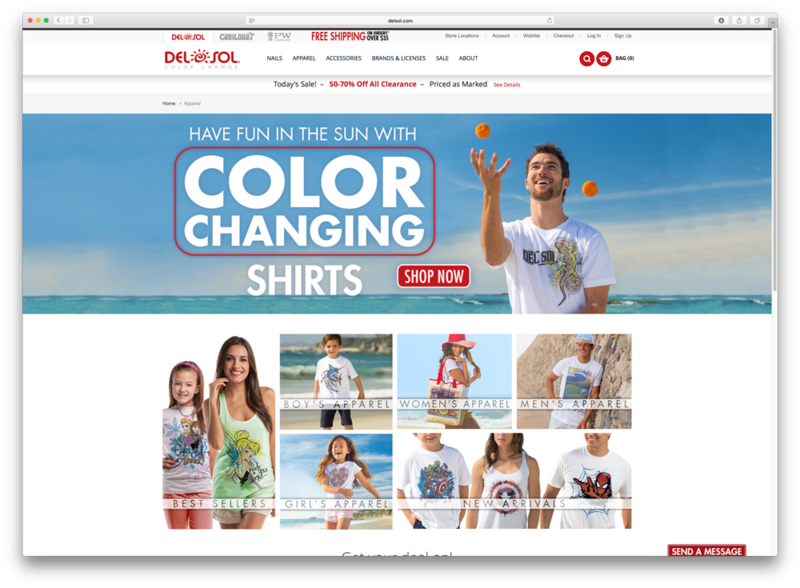 Worked with a team to create and manage graphics and user experience for DelSol.com. Photographed, Designed, and implemented responsive imagery for apparel and other merchandise, as well as marketing, social media, and web campaign graphics. Worked with licenses such as Star Wars, Marvel, and Disney to create graphics for their licensed goods. Helped troubleshoot new template to optimize responsiveness and overall user experience including new intuitive navigation. Launched new site in the Fall of 2016. To view the current website click HERE.